Great service after enquiring about my delivery. Impressed with the speed of delivery and service and are worthy of recommendation. The battery was superbly and safely packaged minimalizing risk of damage and spillage. The NUMAX DC27MF battery. The DC27MF is a 12V 95Ah leisure battery ideal for cyclic use. Rated in the National Caravan Council (NCC) as a B class battery. 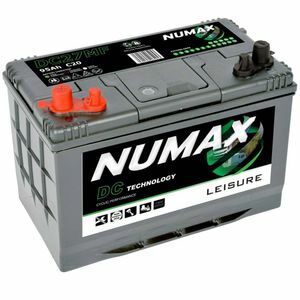 The Numax DC range, approved by the NCC is a great choice as an all purpose leisure battery.